The view from the train through the Itria Valley, in the Puglia region of Italy, was stunning, and we had plenty of time to enjoy the scenery, as trains in South are slooooooooooooow. There were the silvery olive trees everywhere and then….what was that odd little hut with a cone on top in the middle of a field? And more, over there, a smurf village? Trulli houses! We finally arrived in Alberobello, know as the Trulli capital for it’s 400+ trulli, and met up with a man who was renting us a Trullo for the night. “I have a leeetle surprise for you!” the man said, as he let us to our home for the night. 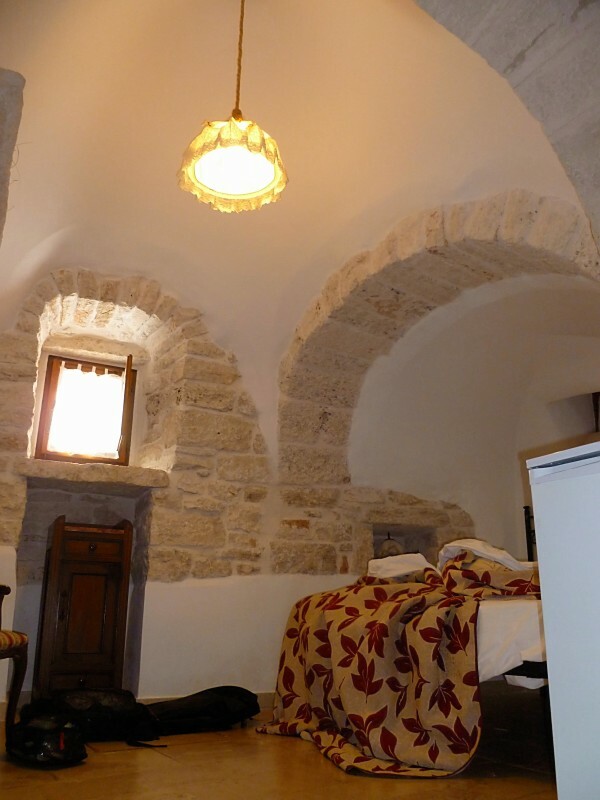 He unlocked our trullo and swept his arm towards the surprising spacious interior: “Upgrade!” With a flourish, he turned on the electric fireplace at the foot of our bed, and left us to explore. 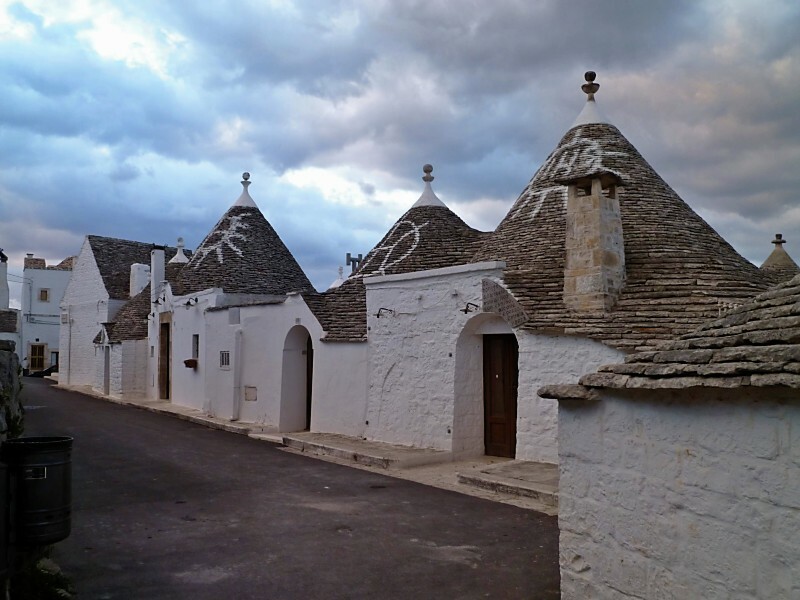 The Trulli of Alberobello are UNESCO protected and a tourist destination, but many of them are still lived in by families. Each home is slightly different that the next—there were even some double-decker Trulli with two floors. Ours was comfy, with a modernized bathroom, and a full kitchen where we made a pasta dinner. As someone who loves small spaces and loathes the plywood-and-drywall McMansion trend, I felt right at home sleeping in my Trullo bed’s cubby hole. The town is adorable and unique I urge you to get on a slooooooow train to visit yourself. Who knows? You may be upgraded to a trullo with an electric fireplace! 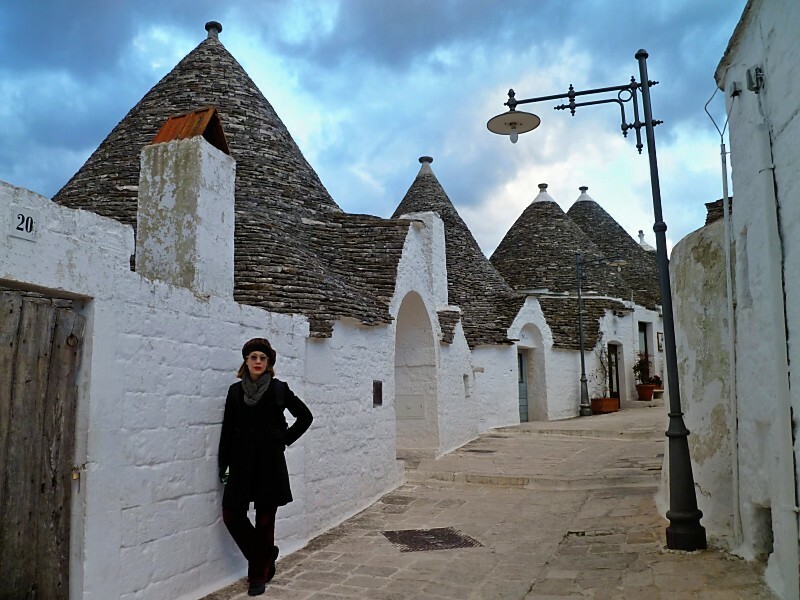 How we got to Alberobello: train from Ostuni. Where we slept: Trulli Holiday. 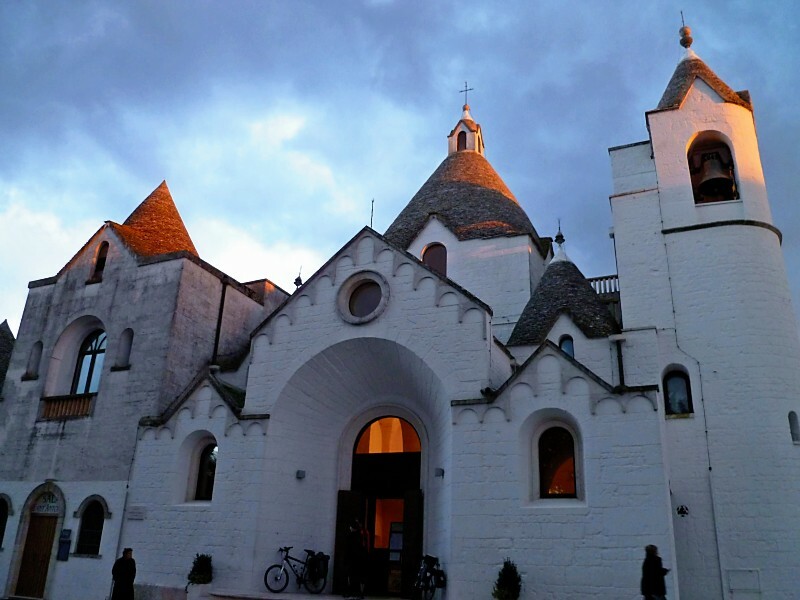 Price: €66 for a “upgraded!” trullo. Recommended: enthusiastically. 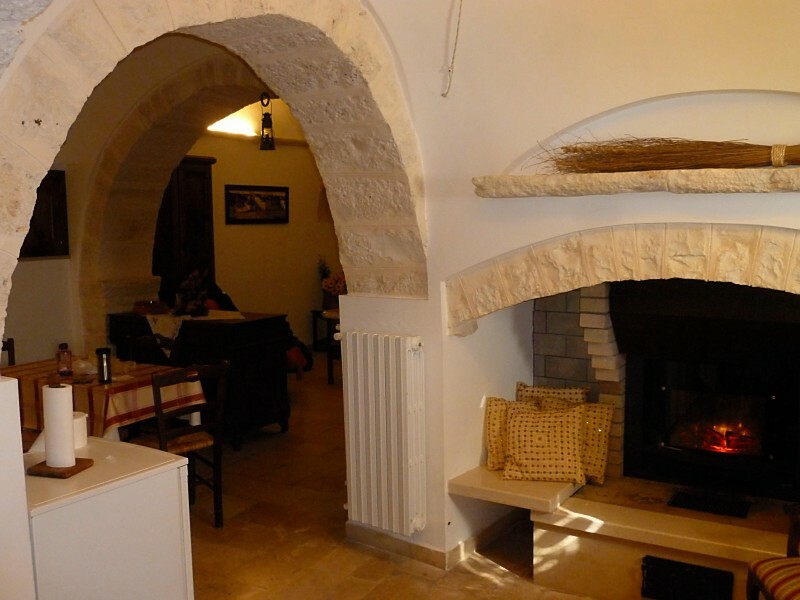 Home sweet trullo–can you see our famous fireplace? Love hearing about the Trulli and seeing your interior photos especially. Would you allow me to reblog on The Italian South? Thank you Sandy. Yes it’s okay to reblog.